Ho ho ho! Merry Christmas in July! I'm Santa Paws and I'm here to give gifts to all the good little gamers out there. In this case, it's a special sale on everything Harn. You can get 25% off your order by using the special coupon code. 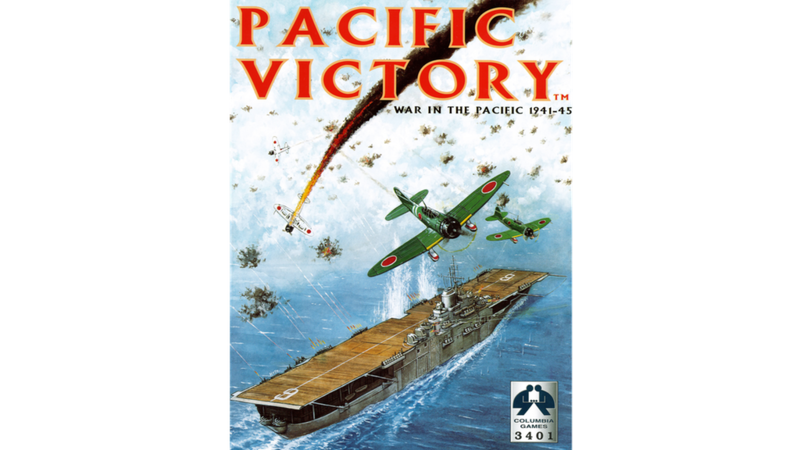 Columbia Games is running a Kickstarter campaign for the second edition of Pacific Victory. WWII had numerous theaters of war, each was like a conflict in and of itself, with different countries using different tactics in vastly different environments. The Pacific Theater was unique in that it was two navies fighting it out while aircraft soared overhead and troops embarked on deadly island-hopping expeditions. 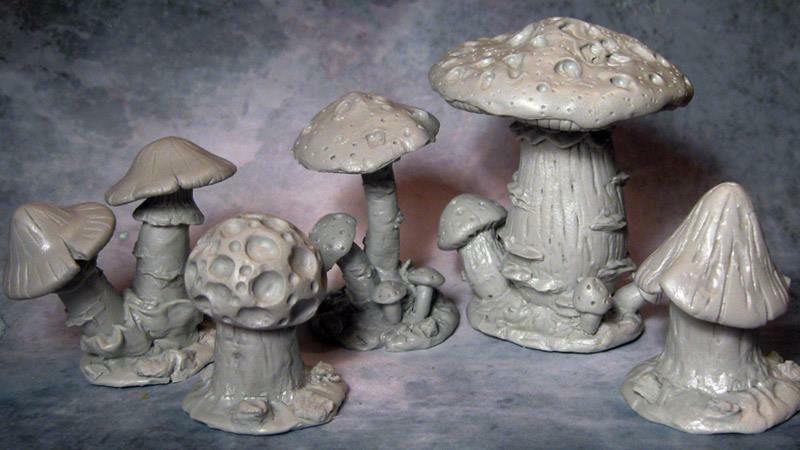 Bring that action to your tabletop now. In the world of Harn, there are those that take to the sea. The kingdom of Rogna, being a set of islands off the coast of Ivinia, is one such place where you'll find hearty sea-farers on the regular. 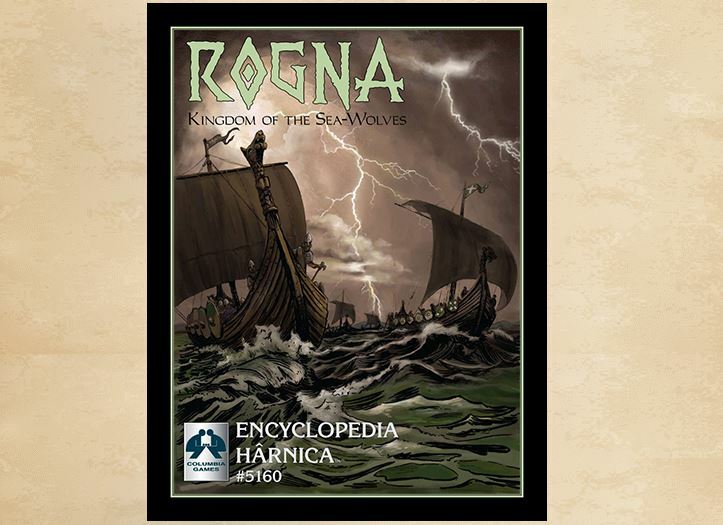 Now you can bring these raiders and traders to your games, as Columbia Games has released their Kingdom of Rogna book. 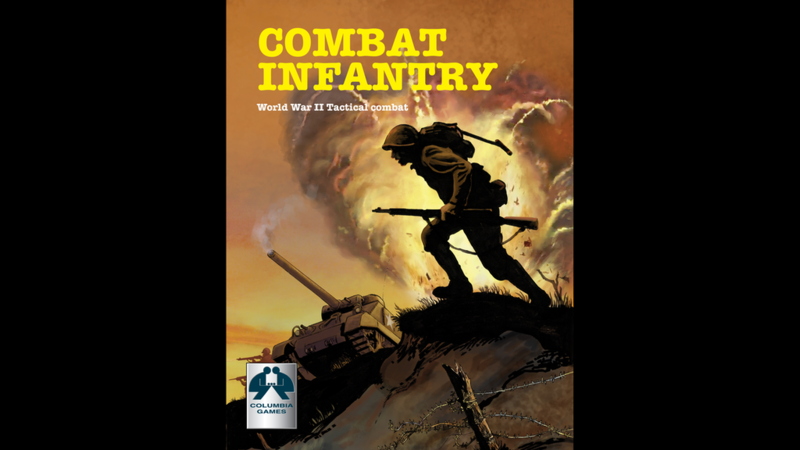 Columbia Games is looking to fund a new WWII tactical game over on Kickstarter. While there certainly have been many WWII games made over the years, this one looks to be a bit different. 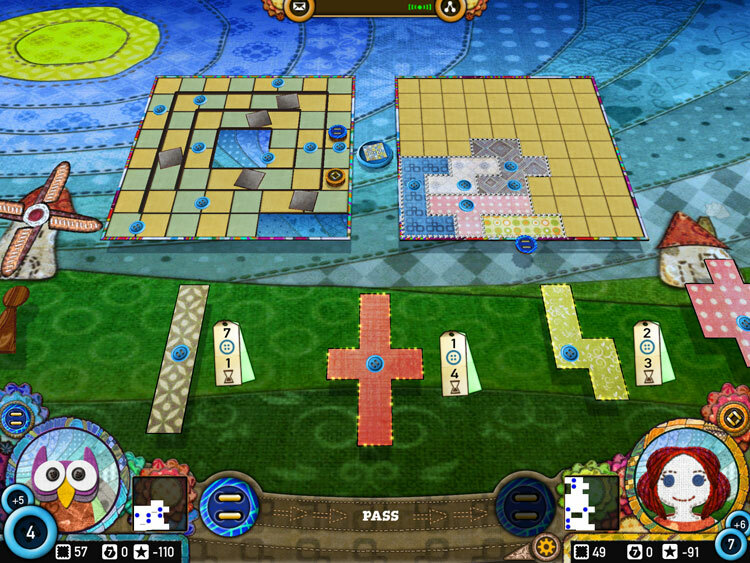 The rules are just 12 pages long and the game uses blocks to represent the various units, tanks, and support troops. It gives the game a sort of Stratego vibe, as you're never 100% sure what's across the field from you. Anyway, the game is called Combat Infantry and the campaign is running now. It has once again come to Saturday. Good thing it happens fairly regularly. So let's not worry about ceremony too much. Let's get on with the reviews. Today we have: Roll for the Galaxy, Magic the Gathering Arena of the Planeswalker - Battle for Zendikar Expansion, The Siblings Trouble, the Patchwork App, Circus Flohcati, Lanterns: The Harvest Festival, Star Wars: Rebellion, Odin's Ravens, My Happy Farm, The Golden Ages: Cults & Culture, The Last Spike, and Piratoons. If you're like Ross "The Legend" Thompson, you love conventions. You go to them whenever you can. It seems most of what I see from him is convention photos. As we all know, there are short conventions and longer conventions. You've got stuff like Salute which is just a single day. Then there's weekend-long shows, or extended-weekend like Gen Con. Well, how about a convention that goes on for a full week? Yeah, Prezcon is coming, and Columbia Con is its own mini-convention with it. 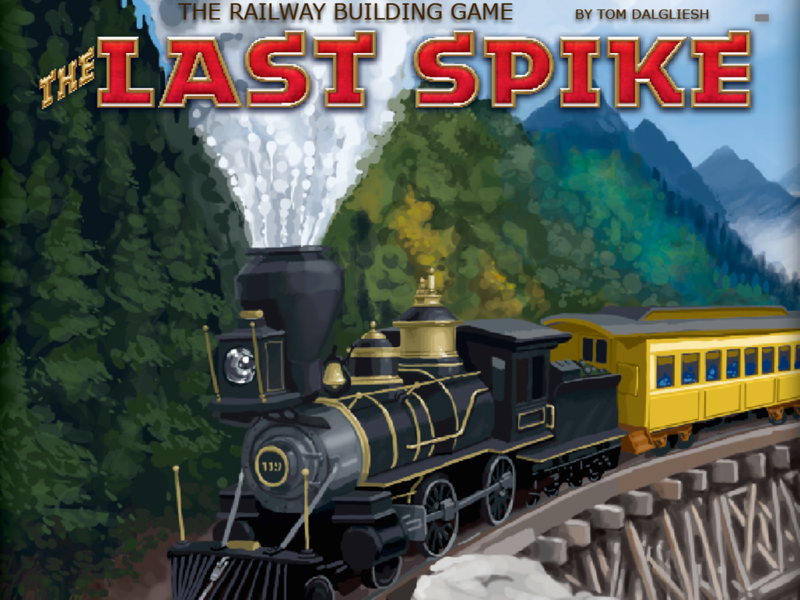 Columbia Games is running a Kickstarter campaign for The Last Spike, their new railway-building game. The game incorporates both cooperative and competitive elements into it, as by only working together will the railroad be built, but along the way, players will be trying to get the most from the land the railway may cross over. The game is entirely skill-based, as there aren't any dice or anything like that. So it's through your shrewd play alone that will have you being the fattest railroad tycoon of them all. Columbia Games' Bobby Lee is another of the Kickstarters ending today. They've made it over their goal, so it's trying to add some stretch goals before time runs out. Stretch Goal #1 (included): No need to fight over the dice. Since we reached our $20,000 goal, we will include four extra dice, four Blue & Gold for the USA player, and four Gray & Black for the CSA player. These are top quality, 16mm dice, with rounded corners. Columbia Games are in their final days over on Kickstarter for Bobby Lee, their American Civil War board game. They've posted up a couple versions of the beta-test rules for people to look over. They're pretty close to their goal. This game brings to life the most dramatic event in American history, the American Civil War. The game focuses on the one hundred miles between the two rival capitals of Washington and Richmond. 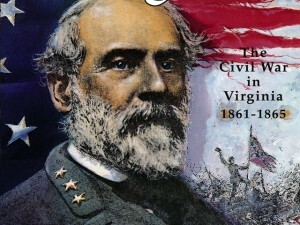 For four years, the Confederate Army of Northern Virginia, commanded by the incomparable Robert E. Lee (known as Bobby Lee to his soldiers) defended these few bloody miles against superior Union strength in men and supply. 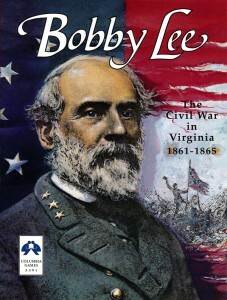 Columbia Games is running a Kickstarter campaign for Bobby Lee, their Civil War board game. Columbia Games has several new supplemental books available as part of their HarnQuest line. The August HârnQuest has been released. Subscribers have been mailed their copies and nonsubscribers can now purchase individual articles from Columbia Games (print) or RPGNow (PDF). Columbia Games has their 4th edition of their Napoleon miniatures game available over in their webshop. Fourth Edition! A new 4th edition, funded on KICKSTARTER, is now available. The success of the Kickstarter campaign has made Napoléon better for everyone - all 4th edition copies has metallic foil unit labels and a deluxe map and battleboards. Columbia Games has some new articles coming for their world of Harn focusing on various regions and some animal life in the game. 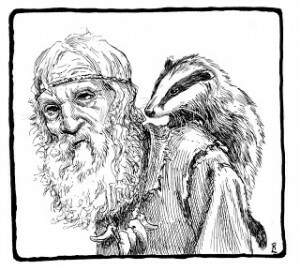 The next HarnQuest will contain the first of a new series of articles that I am pretty excited about. These 2 page locations will be short articles on specific location through out Harn. We have a long list of them on our To-Do list, and a pile of them developed to some degree. 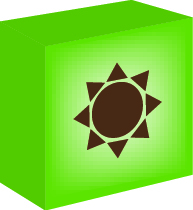 Basic idea of these two pagers is to develop specific sites in already published material. These will develop guilded occupations(Apothecary, Weaponcrafters, etc.) , non guilded (Artist, Baker, Fisherman,etc. ), Religious sites (Temples, shrines, and graveyards), Wilderness locations (Caves, Trader huts, and barbarian sites), and Lairs for any manner of beasts. 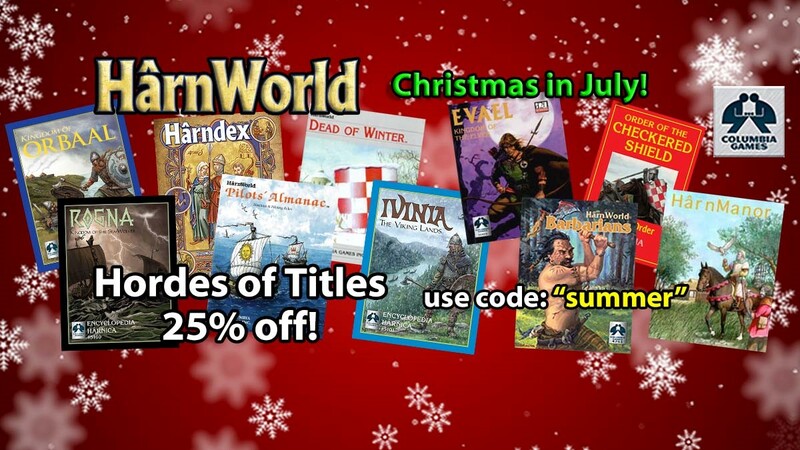 Columbia Games has decided to do free shipping on all of their Wizard Kings items for the rest of June. FREE SHIPPING worldwide for all Wizard Kings items. Applies to the Wizard Kings base game, Heroes and Treasures and Ancient Kings expansions armies and Mapsets. 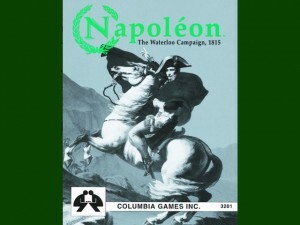 Columbia Games has started taking orders for their new Napoleon 4th Edition book. 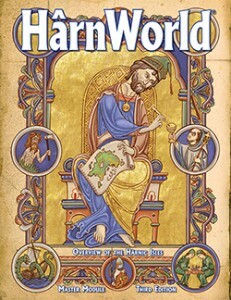 A new 4th edition, funded on Kickstarter, will be available in June 2013. 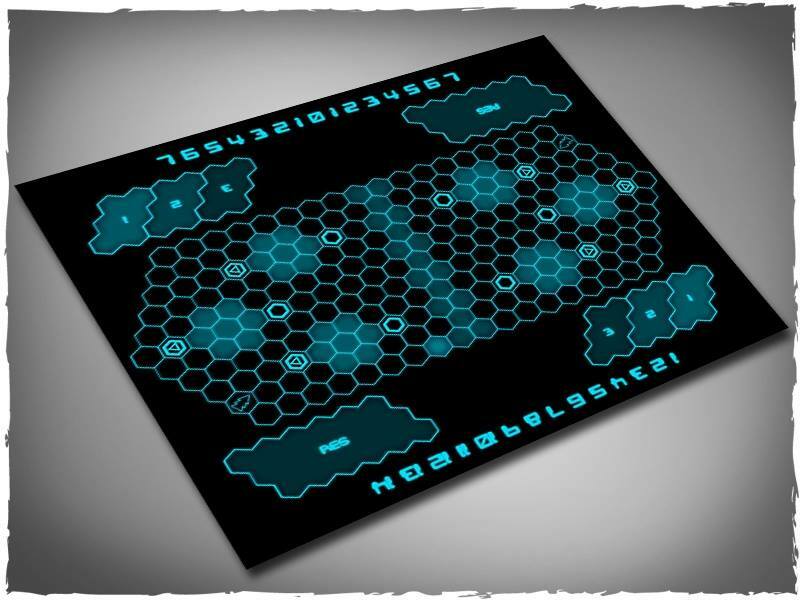 The game is in final production now (locally) and will be shipped before the end of the month. The final artwork and graphics are fantastic. The success of the Kickstarter campaign has made Napoléon better for everyone - all 4th edition copies will have metallic foil unit labels and a deluxe map and battleboards. Columbia Games is in their last couple days on Kickstarter with their Napoleon: The Waterloo Campaign updating and re-releasing of the classic strategy game. They've made well over their goal, but there's always more options to add on. Napoléon is a strategy game for two or three players that simulates the Waterloo Campaign. The time is June 15th, 1815. A French army commanded by the great Napoléon is ready to invade the Southern Nederlands (now Belgium) where two Allied armies, one Anglo-Dutch led by the Duke of Wellington, and one Prussian led by Marshal Blücher are gathering strength to invade France. The French are concentrated and have the early advantage, but the Allies, if they can unite, are stronger.